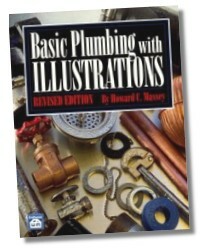 This book is a guide to good plumbing practice. Even if you've had little or no experience with plumbing systems, you should have no difficulty understanding what's explained here. 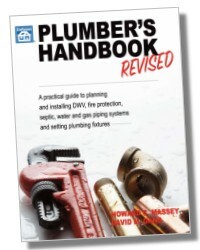 The text covers the basic principles required to plan, install, and maintain common plumbing systems in residential and light commercial buildings. 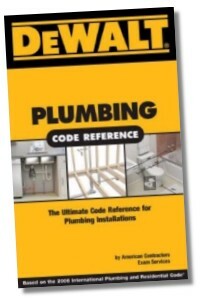 An understanding of the plumbing code is essential, so code requirements are discussed throughout this book. You'll find questions at the end of each chapter to help test your understanding of the ideas presented. Study the text carefully to master the fundamental principles behind each question before you turn to the answer in the back of the book. 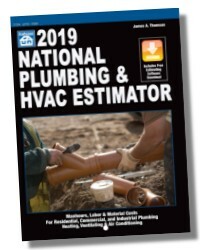 This book will help you select the materials, pipe sizes, and methods of installation generally accepted as correct by most plumbing codes. 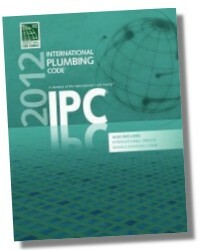 This manual explains everything you need to know to install plumbing on nearly any residential or light commercial job. But it doesn't go into highly technical areas or specialized plumbing and piping such as hydraulic and pneumatic systems that might just be confusing. Nearly every city, county and state has adopted a plumbing code to protect the health, safety, and welfare of its people. Building departments enforce these codes and arrange inspections of plumbing work as it's completed. As a professional plumber, you can expect that nearly all of your work will have to meet code requirements and pass an inspection. The plumbing code is a law intended to be enforced, not a set of directions intended to be followed. That means you shouldn't expect to learn the plumbing trade by reading the code. Still, every professional plumber (whether apprentice, journeyman, master or maintenance plumber) will have to refer to the code at least occasionally. You need a copy of the plumbing code that's enforced in the communities where you do work. If your local building department really wants to help you follow the code (rather than just enforce the code against you), they'll have copies for sale across the counter at the building department. Please note that homeowners who install plumbing must follow the same rules as professional plumbers. Homeowners are subject to the same penalties as licensed plumbers who don't get the required permits and comply with the code. Good plumbing doesn't depend on who does the work, but on how it's done. Plumbing codes vary. Every city, county and state can adopt any plumbing code that they want to adopt. Many adopt one of the model codes but amend certain sections. Others follow one of the model codes but not necessarily the latest version of that code. No matter what code your community has adopted, the basic principles of sanitation and safety are about the same. You should understand clearly that this manual isn't the plumbing code. You'll have to refer to your local code from time to time. But what you learn in this book will meet code requirements nearly anywhere in the U.S. or Canada. 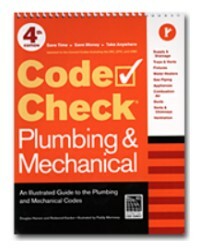 The minor differences between model plumbing codes are emphasized throughout this book. They'll be apparent as you read and compare sections of this book with your local code. Some codes require that only a licensed plumbing contractor do new or extensive remodeling work. 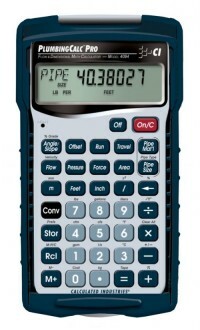 However, most codes allow homeowners to do any type of plumbing work in their existing home. Some codes also permit homeowners to install plumbing in a new house if the owner can show a basic ability to do the work without professional help. Codes require a permit for all plumbing work except repairing leaks, clearing obstructions in sewer lines or waste pipes, repairing faucets or valves, or cleaning septic tanks. When a permit is required, the permit must be posted at the site and available at all times for the plumbing inspector. For a two-story building, a fourth inspection is required. It's called the "topping out" inspection. 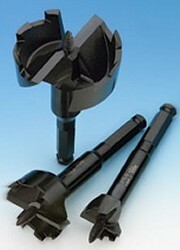 All rough piping must be inspected above the first floor and up to and through the roof. After you complete the permitted work, don't wait more than 30 days before you request the final plumbing inspection. Also the building or construction can't be used or occupied until after the final inspection is made. These inspections will be discussed in detail in later chapters so you know how to prepare for each inspection.